Murdered BJP leader Shaktipada Sardar. Diamond Harbour: As next year’s Lok Sabha elections draw closer, political violence and murders have slowly started to vitiate rural Bengal. In an indication to this, a BJP leader has been hacked to death at Mandirbazar in South 24-Parganas district. The victim has been identified as Shaktipada Sardar (45). He was BJP’s Mandirbazar unit secretary. Sardar was resident of Sadashibpur village in the same area and worked in a local grocery shop for a living. Last night around 8 pm, he was returning home when some miscreants attacked him with sharp weapons. Hearing his cries for help, residents of the area recused him with sharp cut injuries in the head and arms. 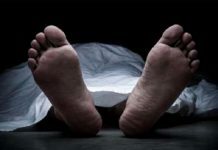 Sardar was rushed to Diamond Harbour District Hospital and at the advice of doctors was being relocated to Kolkata that he breathed his last mid-way. 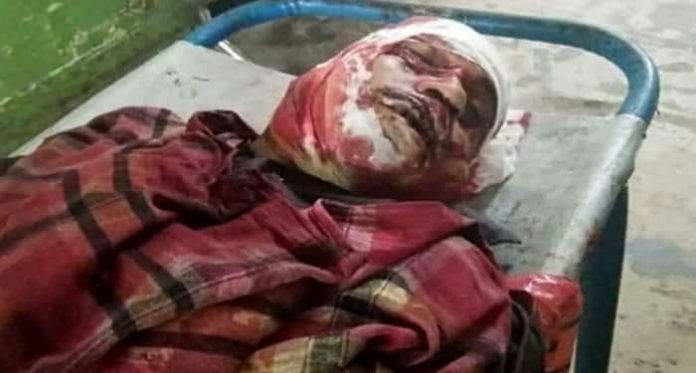 Babul Supriyo, BJP MP and Union minister from Bengal, alleged that Sardar has been murdered by Trinamool as BJP wrested a number of seats in the local Gram Panchayat in the elections held in May. “Another heinous murder of BJP member, Shaktipada Sardar, from Dhanurhat, South 24 Parganas, by bloodthirsty TMC goons. 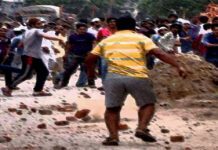 He paid the price for BJP’s victory in the same block during the Panchayat elections,” Supriyo has tweeted. 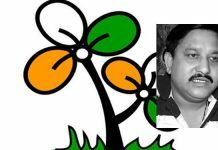 Trinamool, however, has denied any role of the party workers in the murder. Police have so far detained two suspects and are questioning them for a clue.